Check out Hawk in the opening road gap jump! Awesome! 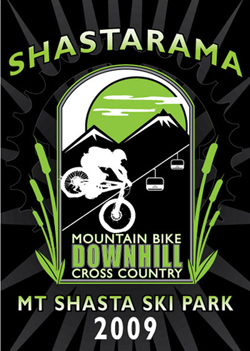 July 17th thru July 19th, 2009 Mount Shasta Ski Park along with Shasta Base Camp will host a mountain bike fest weekend. The XC race with be on July 18th and the downhill race will be on July 19th. The mountain will be open to the public!! Lift tickets are $12 for competitors and $15 for the general public per day. All courses open to the public on Friday, also open to competitors for pre-race inspection.